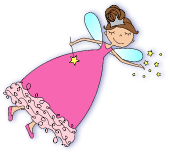 These adorable tooth fairy pillow gifts are sure to create sweet toothfairy memories that last a lifetime. Each of our pillows is cut and pieced together by hand and stitched with love and care. Completely custom made with your choice of hand painted fairy and little girl’s name embroidered on the upper front patch. Measures approx. 7″ x 9″. The tooth fairy pocket is located discretely in back, which is finished in lavender gingham. the pocket contains a small bag to hold the tooth, a sweet poem to the tooth fairy and a tooth fairy story with tooth chart for record keeping. 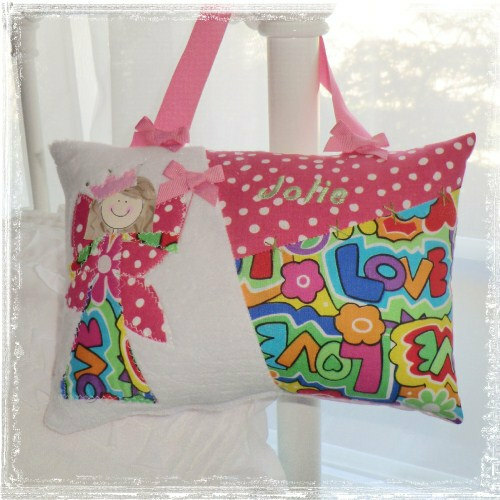 A ribbon ha been attached to the pillow so it can easily be displayed in child’s room, Simply hang this gift on the bedroom door or bedpost when awaiting the tooth fairy…makes it so much easier on her!